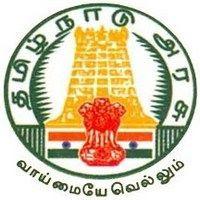 The government of Tamil Nadu Medical Services Recruitment Board (TN MRB) Recruitment Notification 2018.TN MRB inviting applications for the positions of Pharmacist.Interested and Eligible candidates can apply for the positions. Last Date for Submission of Application is on July 30th, 2018. Candidates must be completed 10th, Diploma or equivalent from the recognized Organization / Board. Candidates, age must be Minimum 18 years and maximum 57 years. Forage relaxations check official notification. Candidates may apply the posts online from 10th July 2018 to 30th July 2018. Application fees for applicants is Rs.500/.